I thought about posting a picture of my filthy pants as a wordless Wednesday but then didn't. Weeding. It's gross. Books can get so nasty dusty. Rarely know ahead of time a day when I'll "get" to or I'd ask to wear old clothes. But due to combinations of things today was a day that ended up being good for weeding. I'm kind of nervous. 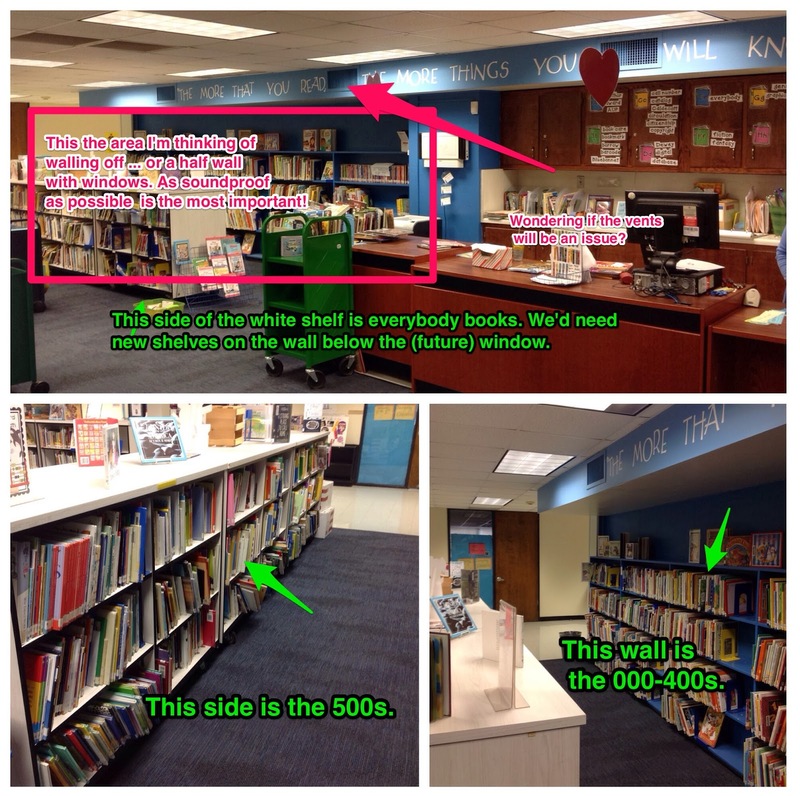 If I move forward with an idea (and it passes through the powers that be) we will lose 150 plus feet of shelving. And right now it's all non-fic, unless I can figure out another way to rearrange our rectangular shape (inside is fiction split into regular and everybody, outside of the rectangle is non-fic). BUT I think ... I hope ... it would be worth it to create a small walled off room in the library. Not big enough for a full class but big enough for a small group. My PLAN is for it to be a small ... call it Makerspace or Podcasting Studio or whatever you want to call it. A somewhat quieter (and more secure ... more locked cabinets!) than our out in the hallway space. Admin didn't quite understand me at first and thought it would be a full classroom. Which, to their credit, their first thought was "that would be awesome for you." But no. Can't get rid of ... 750-900 feet of shelving. Now I know I can do more! I am virtually holding your hand and patting you on the back. Weeding is so hard, but it's amazing what you can find. 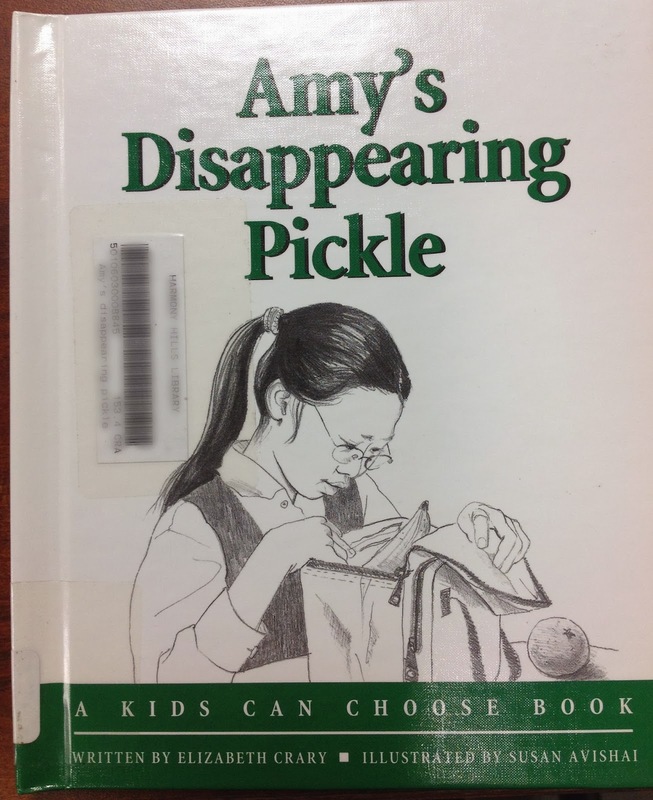 Tastes in nonfiction have changed drastically in 20 years, and now students will only read things with pictures in color and that are LESS THAN 100 pages, so that takes out all sorts of smelly old things from my nonfiction shelves, which actually have some room. Having had a couple of rooms (one for a special needs student who screamed-- no joke-- and it wasn't particularly sound proof!) I am leery of rooms because they do get commandeered. Loved seeing the pictures, though! Be strong! If you buy 600 books a year, then you need to get rid of that many, right? Thank you. ;) I may need it. Seriously ... I thought I DID weed fairly well. Every year except for the year before last. Boy howdy, though. Something about going at it with this year's eyes has made me realize just how much MORE can be done!